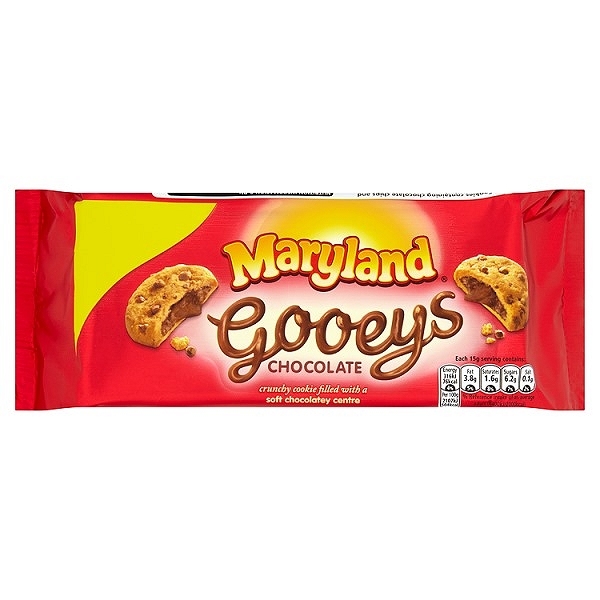 Crunchy cookie filled with a soft chocolatey centre. No hydrogenated fats. Non GM ingredients. No artificial colours or sweeteners. Suitable for vegetarians.